In Poland, the largest Communist country apart from the Soviet Union, the free trade union Solidarity got more and more support from the population. In the June 1989 national elections Solidarity won the majority of seats in the Senate. 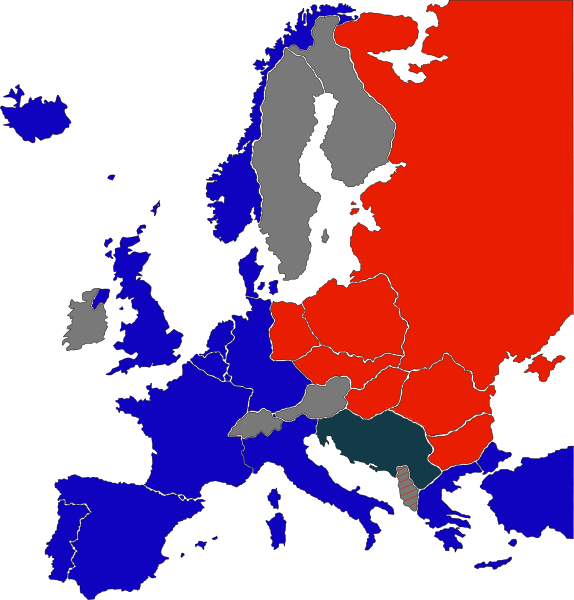 As a result, Poland became the first Soviet satellite state to have a non-communist Prime Minister. A year later Solidarity leader Lech Walesa was elected Poland's first democratic President. In 1988 Communist Hungary started making it easier for its own citizens to travel to the west. In May 1989 it started to tear down its barbed wire and metal fences along the border to Austria. East Germans, who were allowed to travel to Communist countries but not to the west, took advantage of Hungary’s move. In the summer of 1989 thousands of East Germans traveled to Hungary for their holidays. They never went back and escaped to West Germany through Austria. In September Hungary's Foreign Minister declared that it would not stop the thousands of East Germans who were going to Austria. At the beginning of October Soviet leader Mikhail Gorbachew visited Berlin for East Germany’s 40th anniversary. During these celebrations East German citizens demonstrated on the streets of Berlin and other cities. They demonstrated for freedom and the right to leave Communist Germany. Gorbachew warned the Communist leaders not to ignore the rights of the population. 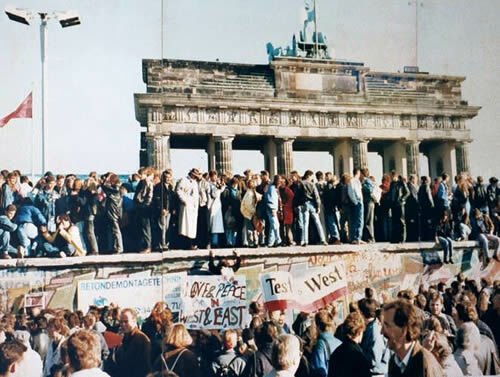 As the protest movement got stronger East German television announced on November 9, 1989 that all citizens were free to travel to West Germany. Within hours thousands passed the border at the Brandenburg Gate and other official border crossings in Berlin. A day later bulldozers started tearing down the Berlin Wall, which had been built in 1961 to stop East Germans from escaping to the West. East Germany's communist leader Erich Honnecker did not realize that everything was over. Within a few months he and other communist leaders were removed from office and on October 3, 1990 East and West Germany joined to become one nation. In autumn of 1989 unrest and rioting spread to Czechoslovakia. The weeks of demonstrations and protest were called the Velvet Revolution. In the end the whole communist government had to resign. At Prague's Wenceslas Square 200 000 people celebrated freedom and the collapse of Communism. The leader of the movement, dissident and playwright Vaclav Havel became president of Czechoslovakia. In December 1989 protests erupted in communist Romania. Thousands of people started demonstrating in the streets and tearing down posters of Communist dictator Nicolai Ceausescu. Ceausescu ordered the police and the army to crush the protests. Dozens were killed in a wave of violence. But as protests became even stronger the army started to support the demonstrators. Ceausescu and his wife fled Bucharest by helicopter. They were captured a few hours later by army soldiers and kept prisoners for three days. On Christmas Day Ceausescu and his wife were put on trial at a military base. They were found guilty by a people's court and executed on the same day. Bulgaria's change to freedom occurred without violence. Its communist leader Zhivkov stepped down after 34 years in power. In the weeks before anti-communist protests swept throughout the country. A few months later the first free elections were held in Bulgaria.